I decided to use up some of the delicious perfect pears and make this special breakfast for my mom, sisters and Nanny before heading out for a fabulous girls weekend at the cabin in Leavenworth. It was the perfect beginning to our trip. Start with gorgeous fresh pears and slice them up. Layer them atop some honey and spices in a casserole dish. 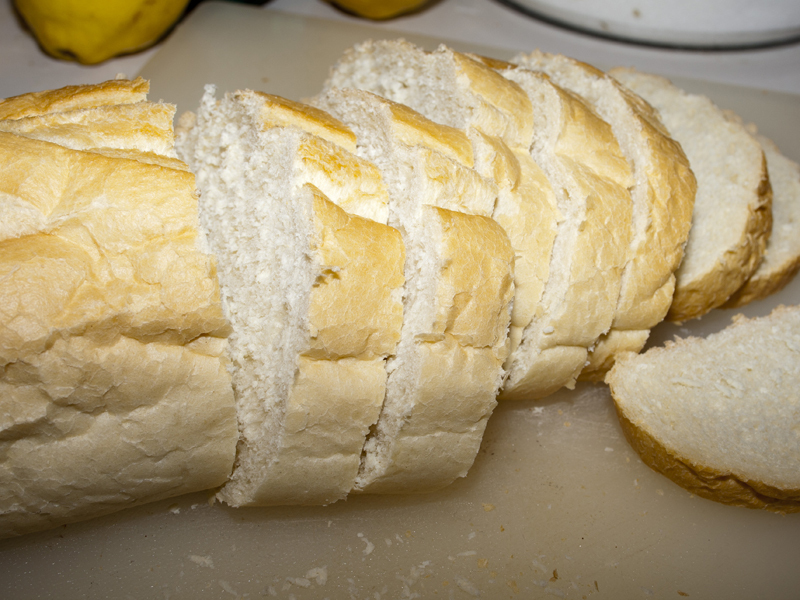 Then top with some nice french bread that you’ve sliced thickly. 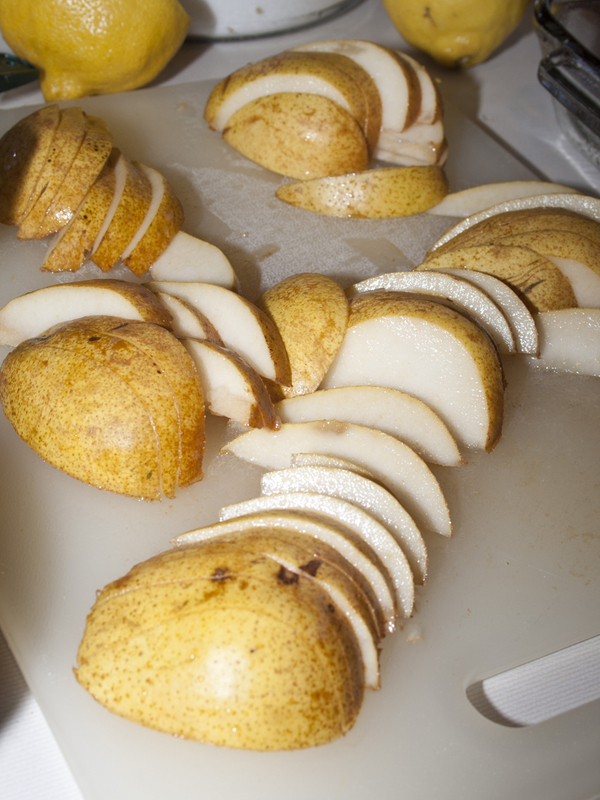 Dredge the bread in a spiced egg mixture and place it on top of the pears. Then bake to a golden brown. The bread gets crusty and gorgeous while the pears release their juices below. Yuuuuum! 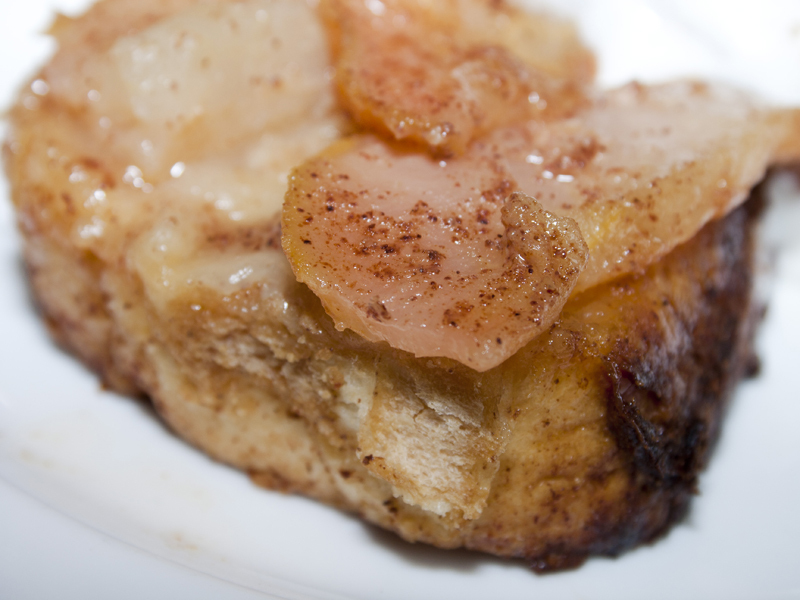 To serve, cut into squares, or along the bread lines, and flip over so the pears are on top. 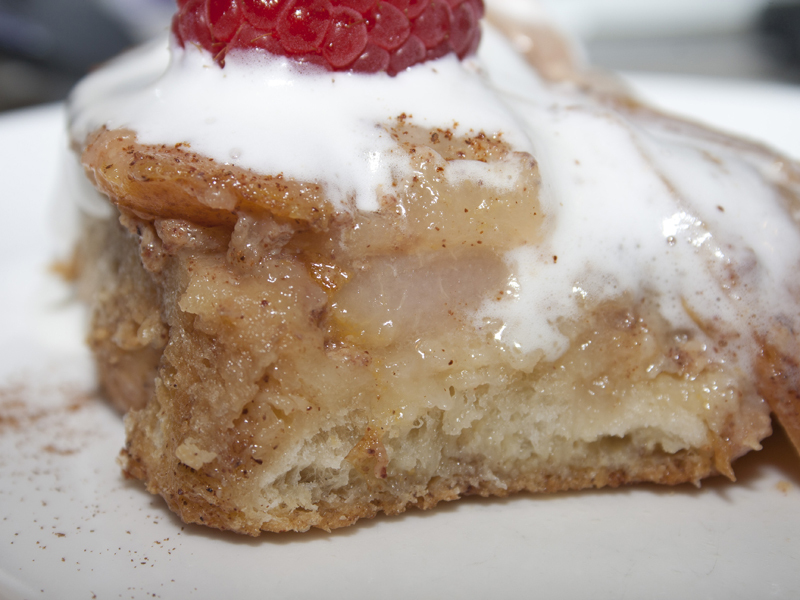 Pile on some freshly whipped cream and (if you have some) hit it with some raspberries. I loooooooove raspberries and pears together! 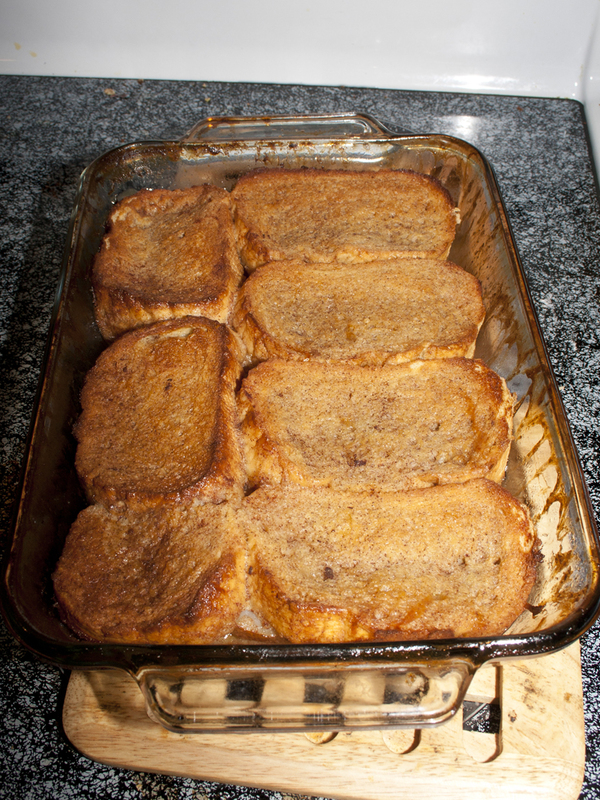 The pears and the honey create a kind of syrup in the bottom of the dish that blends in with the eggy baked bread when you flip it over. Oh my goodness. It is glorious! Especially when the cream gets a little melty from the heat coming off the pears. Mmmmmmm. Yeah, that’s the good stuff! 1. Preheat an oven to 350 degrees F (175 degrees C). Lightly grease a 9×13-inch baking dish. 2. Warm honey in the microwave slightly then stir together with the lemon juice, 1/2 teaspoon cinnamon, and 1/4 teaspoon ginger together in a small bowl; spread evenly into the bottom of the prepared baking dish. 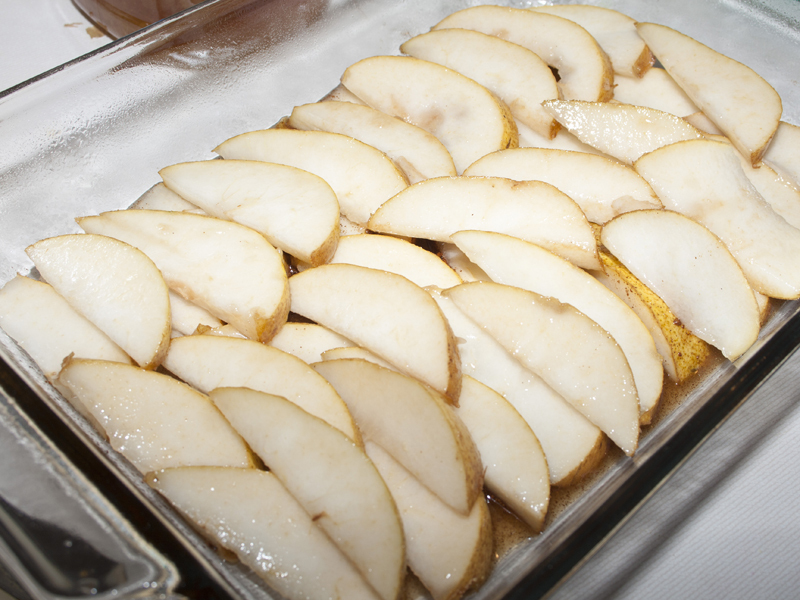 Arrange the sliced pears in 2 rows into the bottom of the baking dish. 3. 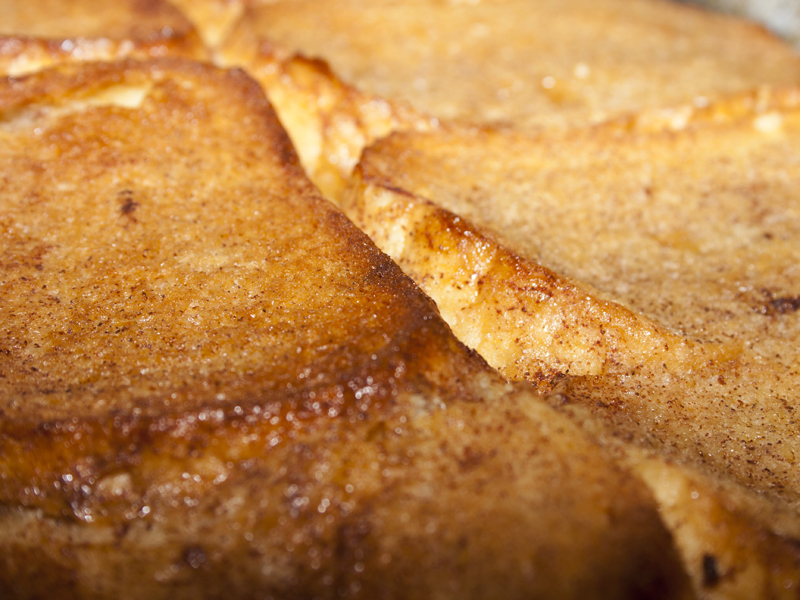 Beat the eggs, milk 1 tablespoon honey, 1/2 teaspoon cinnamon, and 1/4 ginger together in a shallow dish; soak each piece of bread in the egg mixture and arrange atop the pears. 4. Bake in the preheated oven until the bread is set and golden brown, about 35-40 minutes. 5. Cut the bread into squares. 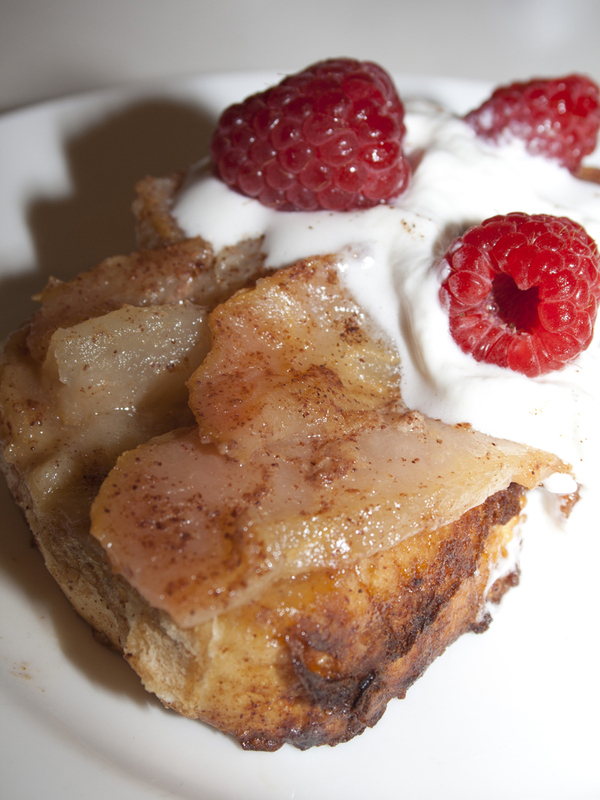 Use a thin, flat spatula to lift each portion out of the pan and flip so the pear side faces up. Top with a dollup of whipped cream and berries. Yum! This looks superb. . .